This is part two of yesterday’s post where I wrote all about my family room and how it’s continuing to evolve. Here are a few applicable ideas for you to use in your space. First, you need to determine where you are going. 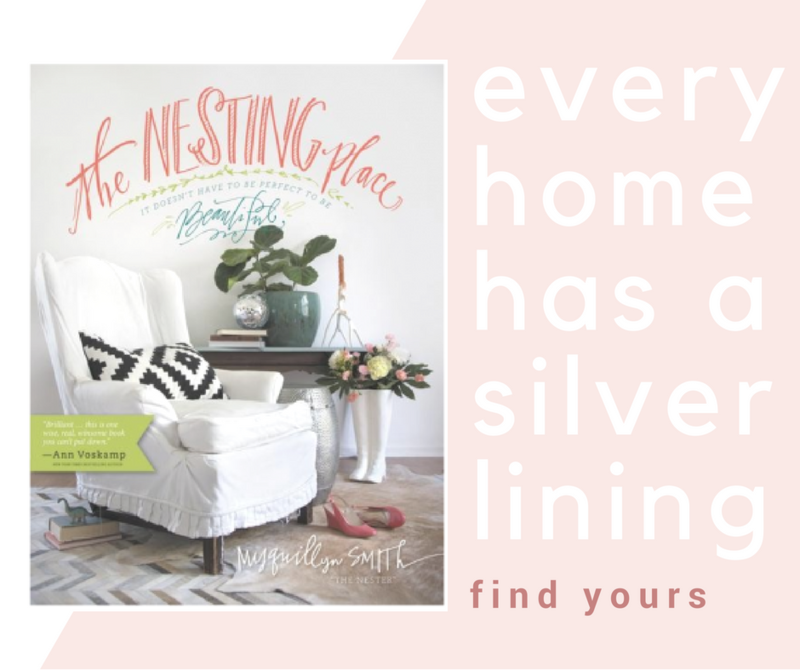 Look at blogs or magazines and have an inspiration room or feel in mind. I’m sure there are many wonderful ways to go about changing up a room. Here’s kind of how I do it. First of all, work one room at a time and don’t rush yourself. For example a leather sofa. I happen to LOVE leather so, let’s not blame a perfectly lovely natural material on our woes. But I think we’d all agree that this sofa…. …would be much easier to work into lots of different styles of rooms than this sofa…. Look at the window treatments in your inspiration rooms, are your current windows helping you achieve the look you are after? Accessories are another thing that can define your space. Remember, you took everything out. Add accessories in one at a time and evaluate if they help or hurt the look you are after. Love your accessories but they are the wrong color? You can paint just about anything from dishes to candle holders to lamp bases to picture frames. What needs to be painted? Ideally, if you have a neutral sofa you can mix that in with a neat textured or patterned side chair, sit those on a graphic rug, add in a punch of color pillows, mix up the case good materials with paint, wood, metal and have fun with your window mistreatments. 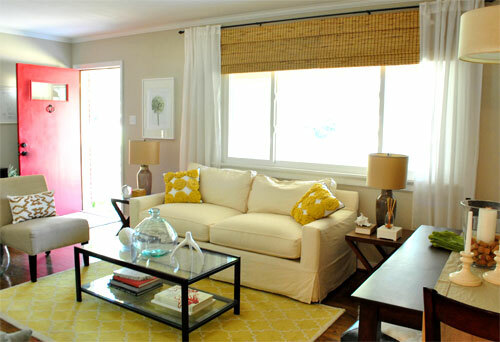 Then, over time, since you invested in a neutral sofa, you can slowly tweak the room to go with your taste. Think of your home like your wardrobe. You normally don’t throw away your entire closet in one day. However, you probably don’t still wear much that you wore 10 years ago. So, when you get your new fall boots, you work that in with the skirt and leggings and jeans that you bought last year or the year before, and maybe you get rid of your old falling apart boots from 4 years ago. It’s a slow, organic process that you enjoy over time. Great tips, thanks (once again) for sharing! Just a point about the leather sofa(s) – and I may be waaaaay off base here, because I’ve never made a slipcover – but, for instance, when you slipcovered your toile sofa, did you in some way actually ATTACH the slipcover to it? (My word, that’s the longest sentence ever.) Because, if you wanted to slip your leather, couldn’t you still draw the pattern pieces the same way, sew it and just put if over the leather? I know someone asked about working around a leather sofa in the comments yesterday, and I’ve been thinking about this ever since. I have 2 leather sofas in my family room which I love, and I can’t see why this wouldn’t work unless the slipcover is attached in a way that might harm the leather. You totally could, I think people have probably done it. I would just worry that because leather is slippery, the slipcover would constantly be wonky–have you ever worn a slip over spanks? If so you know how much you have to adjust the slip EVERY TIME YOU WALK. You want to die. Anyone out there have a slipcover for leather? I was going to say – the only thing is it could be slippery. The rug pads are a great idea! Back to Spanks or my target version Assets….what’s the solution for that!? I have to wear a slip! 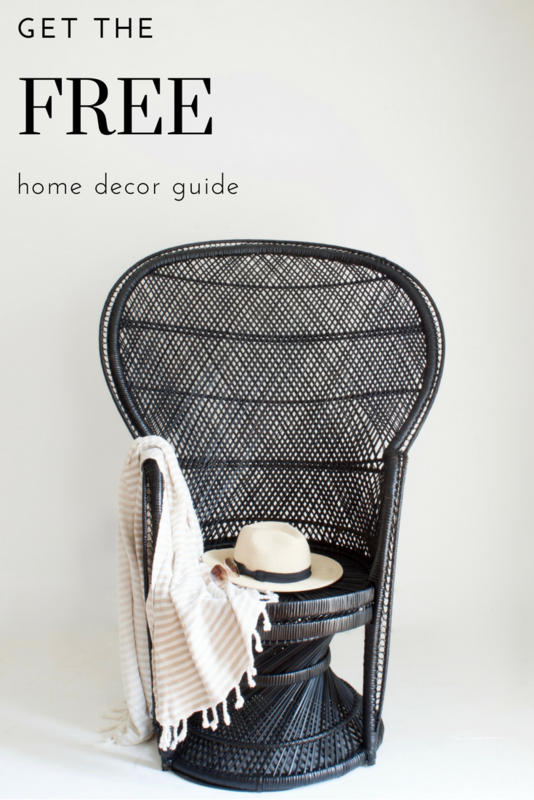 Nester, didn’t you use leather chairs and a white sofa as a room inspiration for another blog? Am I making this up? Assuming I didn’t make this up, couldn’t you use a leather piece and a slipcovered piece? I don’t think everything has to be slipcovered in white. Working in leather can add another layer, and I love layers! Skip the slip. Look on Amazon for petti pants. Best things evah. I have really enjoyed ready these last two posts. We have just moved into a new house and I am trying to find a way to make is “us”. We built our last home so everything we put in it we picked out. Now we have moved to a previously owned home, and while I like it there are still too many places that I haven’t been able to transform into “me”. We have only been in the home 4 months, and I am trying to be patient while waiting for inspiration to kick in. Thanks for all the decorating tips. I can feel the wheels in my mind starting to turn. How funny that you addressed the leather sofa issue as I was just typing up my blog post and lamenting over my leather sofas that just don’t fit with my style/house now. I really don’t think my hubs would go for selling our couches and buying new ones so we’ll see how I can work this out. Craigslist, here I come! Thanks for posting this! Love your advice and blog. Oh, Nester. 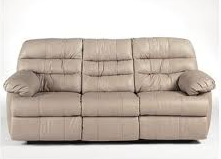 We have the big poofy leather–of course the hubby looooves it. But it was never intended to be our main living room furniture. And yet we moved shortly after purchasing it and now here we are with it in the main living space. We are trying to sell our house, so I am hesitant to purchase new at this point. 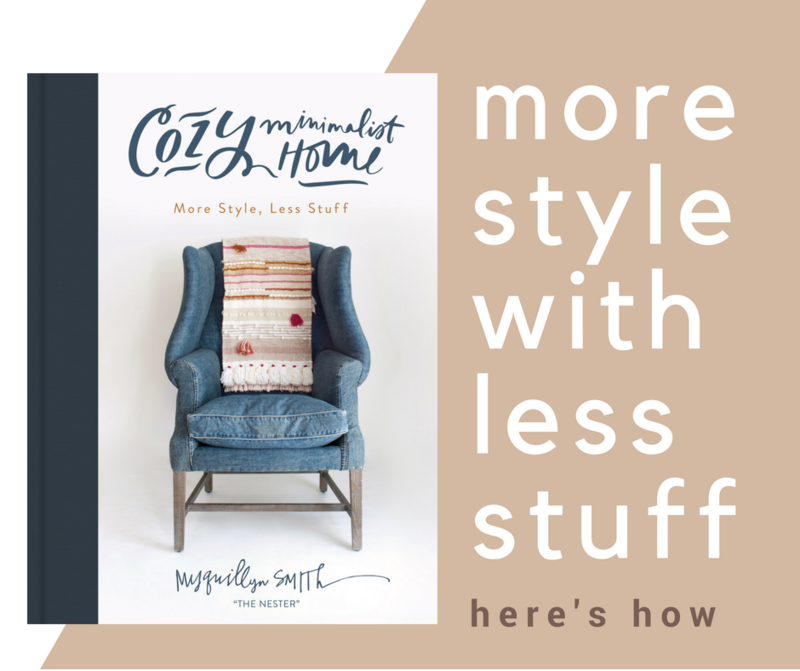 I was just wondering about slipcovers–and now here you are with this post. Thank you!! Great post and good timing! I am in the process of tweaking my living room and I have decorating block. I think I have figured out what I want to chnge then I see a picture in a magazine or on a blog that I love. I then begin doubting myself. I guess I need to just take baby steps. Great post today! I’m in the process of changing things up a bit myself…starting first with some new paint on the walls. Hey just wanted you to know, your previous post, “Meaningful Beauty”, sparked some great ideas for me. Including a great devotional inspired by these two words. I hope you will check it out at my blog! Thanks for addressing my leather couch woes! I’ve decided that I’m going to do exactly what you said and take out everything in my room except for the things I have to have…or that I love. Unfortunately that doesn’t leave much hah! It’ll look boring and depressing for a while, but I’m ready for the challenge! You’re so right about the size and shape of the furniture setting the tone. I’m really starting to love my living room. But we have an armless slipper chair that I hate. It’s totally throwing off the feeling of the room. I’ve decided it’s time for it to go. So, thanks! 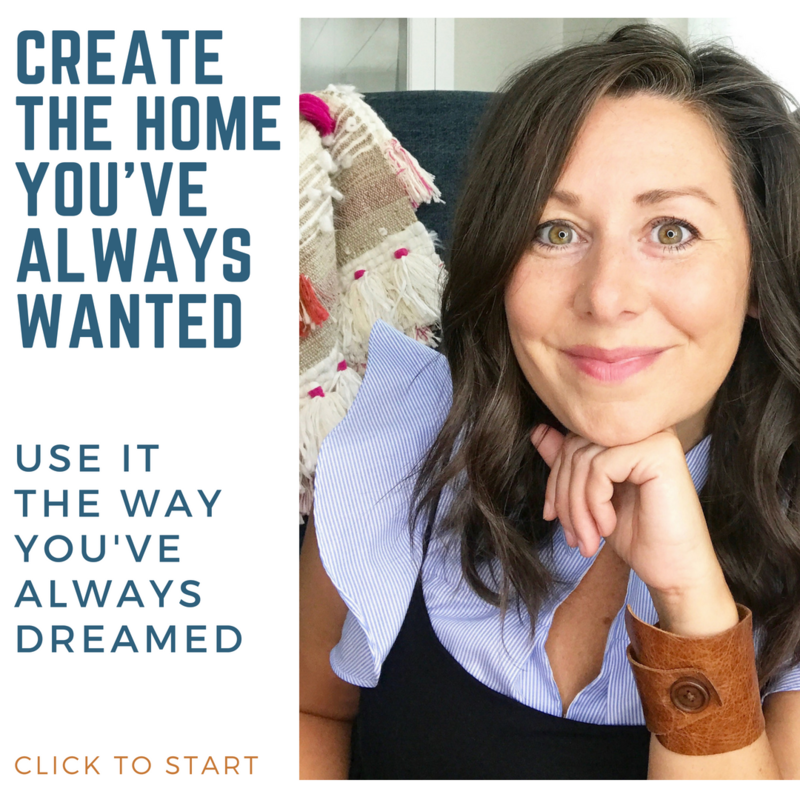 I slipcovered four enormous leather sofas and a daybed for my sister when she was styling her house for sale (I travelled from San Francisco to Sydney with 65 yards of organic hemp in my suitcase). That was four years ago, and the slipcovers are still going strong in her river house, so I’m wondering why you suggested not slipcovering leather? just for the reason I listed above, if it’s a tight leather like that first photo it seems like it would be easy, but most people wouldn’t want to slipcover that. Those poofy leather sofas seem like a slipcover would slip–any tips? Seeing that poufy sofa made me sad because I see it every day sitting in our living room and think, “With what I paid for that cursed thing, I could had three fancy, down-filled sofas from Ethan Allen!” and it’s true. I thought we were being smart by getting a comfy, dual reclining sofa but it’s just become an expensive eyesore that my hubby won’t let me sell and replace because I made this mistake only two years ago. Mine’s fabric though (leather furniture gives me the heebie jeebies) so could I slipcover my monster with a cute skirted slipcover?? Please say yes…. 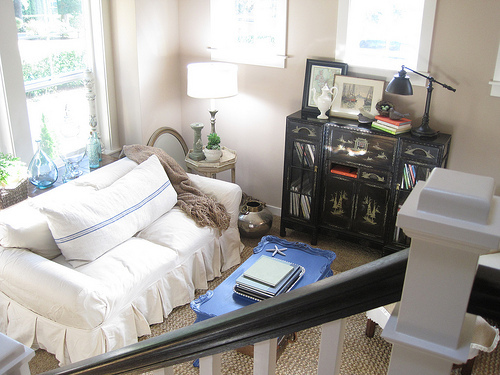 no matter what sofa you have, you can ALWAYS try to slipcover it! There’s even products out there where you can spray paintish your leather. I agree with Nester! I am a firm believer in slipcovering anything not nailed down! Go for it! Anyway, the sofa was sage green. I was fine iwth the color, but needed to add more color to the room and couldn’t find a combo that I loved to go with it. We didn’t have money to buy a new sofa so I started to think of what I could do to get money for a new one. I always love to shop at garage sales. Sometimes, especially at estate sales, people sell expensive items for for super cheap just wanting to get rid of them. Sometimes I buy things at garage sales with the intent of selling them because I know they are worth more than they are being sold for.last week I sold something I bought at a garage sale for $20 for $450. I also sold my ugly couch. My new couch should be arriving tomorrow! Oh, there’s so much I love about this post! “…a slow, organic process that you enjoy over time.” What a great statement, and not just about redecorating a room! I think it’s a great metaphor for life: find some inspiration (maybe a passage of scripture, a person you admire, a dream) and then empty out the room, then slowly (and I think that’s the key, right?) add in only what fits with the vision. LOVE this! And the rooms are so beautiful! Wow, that first photo looks exactly like MY living room! Now if that’s not helpful for ideas :) LOL! Of course we have a sectional sofa so that messes me up right away! Thanks for the ideas. It’s fun to change things up. I think the hardest thing is to be patient and focus on one room at a time. It’s so easy to have a gazillion things going on at once. I’m bookmarking this page- great tips. Love your analogy of furniture to clothes! I do the same thing. I’ll freshen up an outfit with a new bracelet or necklace. I freshen up my living room with pillows or painting a side table. I just painted a side and console table SW Meditative! Oh, you’ll love this! I found a Rob and Stucky slipcovered white sofa (with down cushions!!) at my resale shop that was marked down to 400! AND it’s new – it came from a model home! I told the sales lady to shut up when I found out it was marked down. Ok, so my bargaining skilz need work! Oh puffy sofas! I don’t mind leather at all, but I’ve told my husband we will NEVER have a poofy sofa, no matter how comfortable or affordable it might be. I will not buy a marshmallow sofa. We have a recliner that is a bit poofy, but it was given to us used and will be eventually replaced by something we BOTH like. 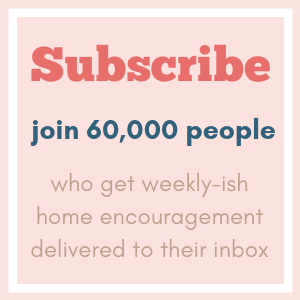 I’ve been devouring this blog for about two months and slowing changing the look of my house . I am trying to stick with one room at a time but I can just blame it on my ADD. And yes, I do actually have ADD. :) Anyway, we got rid of our ugly couch and found a matching couch and loveseat set we both could agree on selling on Craigslist for the same price we sold the couch for (SCORE!) The issue is this: hubs cannot get into slipcovers. He does not like the messy-ish shabby chic that I adore. I’m willing to make do with the current sofa/loveseat on the promise that we are saving for the IKEA sectional I want (but won’t be getting until he is finished with school in a about two years.) What I am trying to figure out is the color scheme to use since the couch/loveseat are dark olive and the walls in our rental are paneling which we cannot paint. Suggestions, anyone? thank you for helping me re-focus once again. just tackle 1 room at a time…i’m off to finish my daughter’s room. I’m glad you wrote a post about this! I’ve got leather furniture (not streamlined like the first sofa but not as poofy as the second one). The fact that it’s leather doesn’t really bother me- they’ve held up these ten plus years with dogs, cats and kids. I just don’t love the color! It’s a blah mushroom color. I’ve just learned to decorate around the giant mushrooms in the living room! LOL! I guess I’ve got more a forest theme going on….mushroom on sofas, svelte sage on walls and wood tones elsewhere with punches of red (as in berries) or yellow (as in flowers). :-) Makes me happy! I recently found your site, and am just loving it! Thank you! I am redoing my living room right now, and I really love your curtains in your living room. Did you make them? Where did you get the fabric if you did? Thanks again! Help! Why can’t I make this a hyperlink? Hope you don’t mine me chiming in, Nester! Oops! it made itself a hyperlink. Duh! For those of us in the “save up for new sofa” category – do you have any store recommendations? I am willing to spend more for quality (need something that will stand-up to the abuse of 3 boys), but I have no idea who sells durable, long lasting furniture? We had good luck at Macy’s. It’s even more affordable if you go during a sale. Just want to say how much I love your blog. You gave me permisson to feel good about my decor, even though it was not model home perfect. have been stalking your blog for more than a year now, and have you saved under my faves. Now that started blogging, I have just subscribed to your RSS feed, and am looking for ward to being your “blogging peep”. Excellent tips, as always. And I love the analogy about our decor being like our wardrobe. Hello, Nester: I cannot find your email — and this would be more appropriate as an email. But I have you tassel tutorial — tho I’ve had it for months, I just started a tassel project today. I have so many glue gun questions. Why does it constantly leak glue? How do you deal with all of the glue strings? Do you have the best-glue-gun-ever to recommend? Mine is the midprice one from HL with dual settings (HI or LO). So far mine are not looking nearly as “perfectly beautiful” as your’s. Help, please. I totally GET this! My hubby wasn’t thrilled with a mirror I bought for the bedroom b/c it doesn’t go with the current (hopefully coming down soon) wallpaper. But it goes great with my vision for the room! I’m definitely trying to put your method into practice as I find furniture, hang pictures even in the rooms still papered with gaudy flowers! I just imagine it the color/style it will eventually be and aim for that. Nester, these are like THE best guidelines EVER for changing up a room. I think I am going to print this out and use it every time from now on. Thank you – this was SO helpful! Great info! I have been looking for inspiration photos for how I want my living room to look for awhile now and I have found nothing. 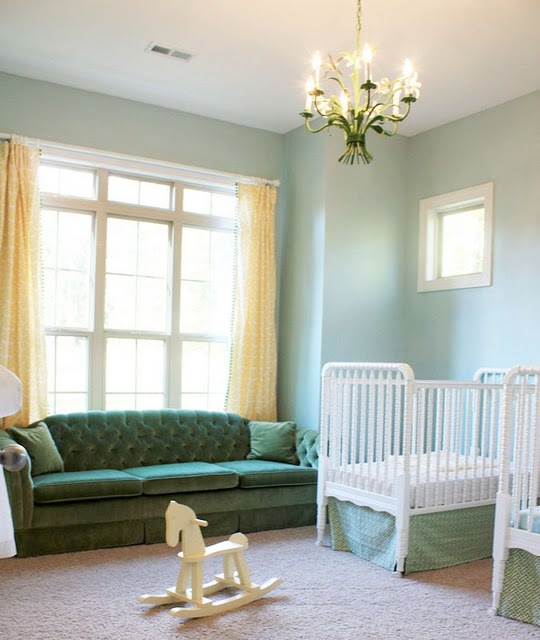 My problem is that we have a funny gray/green/sage/mint colored carpet and buttery colored walls! We are renters and our landlord flat out refuses to let us paint or replace the carpet. The paint and carpet are brand new so I can see his point but I don’t understand his color choices at all! lol I thought about just throwing a huge rug over the carpet but we can’t afford one that is near big enough. The wall color I actually like but not with that carpet. Soooo, how can someone like me find inspiration pictures when they don’t exsist becuase the colors you are forced to live is not in style? Should I just completely ignore the colors of the carpet and walls and do what I want? Love this post! Great tip on painting an accessory to coordinate with the room. You said…”would be much easier to work into lots of different styles of rooms than this sofa…. that is poofy. Nothing is wrong with either one…” You are so kind. But, yes. The second one is UGLY. No matter how you try to sugar coat it.